Our March meeting is only a few days away. Are you ready for all of the exciting things we have planned? Our board members will be sharing some information about the guild finances and bi-laws about our March meeting. Retreat is fast approaching. If you still have a balance on your room please bring it to our March meeting. 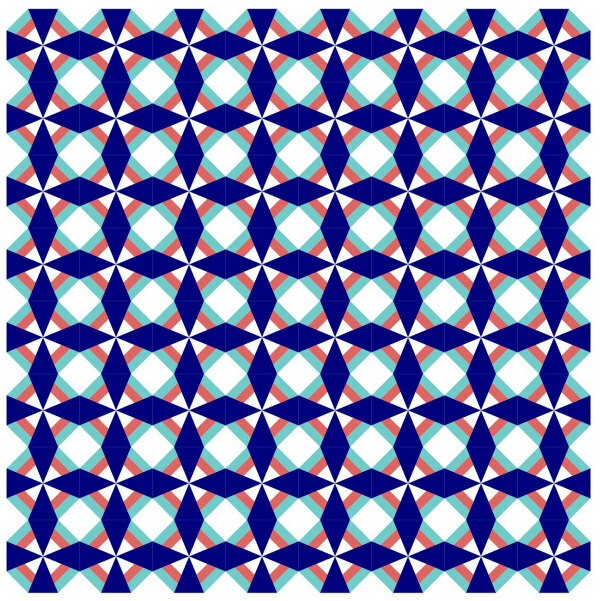 The Boston Modern Quilt Guild is hosting a quilt show at Fabric Place Basement April 9-30th. The show is only staffed on the weekends, but you can go to see it Monday-Friday as well. 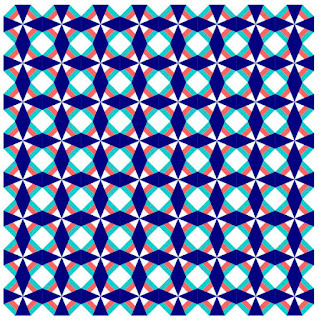 This is a great excuse to see some beautiful quilts and do some fabric shopping. We are so excited to be hosting Amy Garro in June. Cost for the event is $100/person and includes lunch. 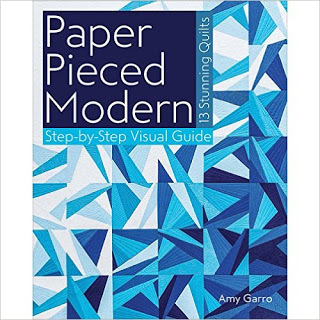 (Participants are also required to own a copy of Paper Pieced Modern. We will be placing an order for books in the spring.) If you plan on attending please bring your check to our March meeting. 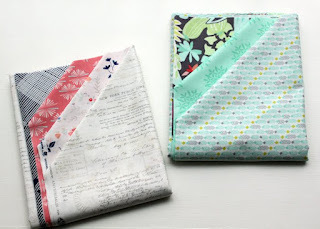 In December we passed out fabric to make blocks as part of the Janome Challenge. If you made blocks please bring them in March. We will be having a sew-in at Twill to put these blocks together on March 17th. A celebratory drink at The Peddlar’s Daughter might also be in order if we’re feeling festive! If you’ve finished your Dutch windmill blocks you can bring those back in for Michelle. Haven’t started yet? There’s still time and some great paper-piecing tips on our blog! Nothing is better than coming home and putting on that favorite t-shirt! We have your new favorite tee coming your way. 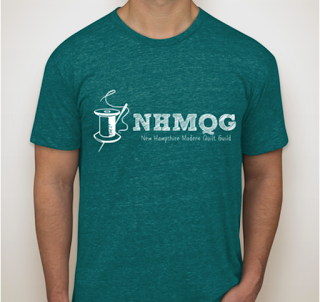 Pre-ordering an NHMQG shirt will be available once again at our March meeting. The shirts are $20 each and they are American Apparel Tri-blend, basically the softest tee you will ever own! Sizing is unisex. We only plan on placing one order of these custom shirts so be sure to order yours now! These beautiful fabrics could be yours, all for the cost of a few raffle tickets! The left bundle is four half-yards of Paperie (Amy Sinbaldi for Art Gallery Fabrics), and the right bundle is three half-yards of Canyon (Kate Spain for Moda). Our giveaway item is a cool little gadget that you had no idea you needed until you see it. See you on Tuesday!